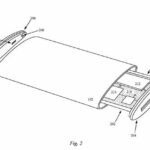 Apple has been granted a patent by the United States Patent and Trademark Office (USPTO) today for methods of improving the strength of glass covers on electronics devices such as the iPhone. 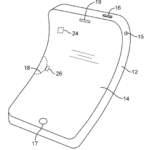 The patent describes systems and methods for improving strength of a thin glass cover for an electronic device. In one example, the glass can have improved strength by forming its edges with a predetermined geometry or by chemically strengthening the edges. The glass can be not only thin but also adequately strong to limit susceptibility to damage. 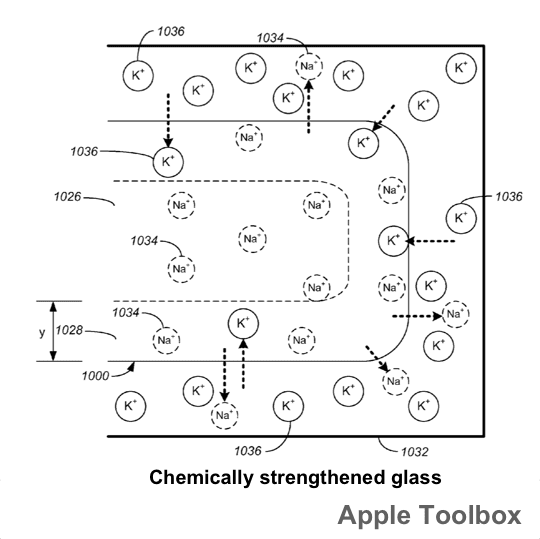 The invention relates generally to increasing the strength of glass. 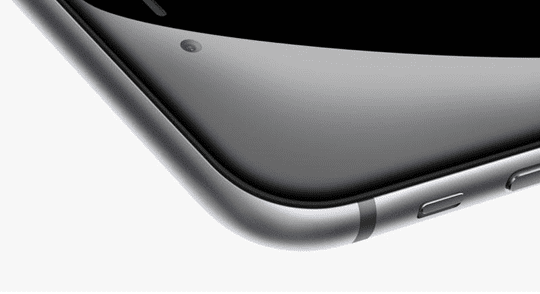 The glass having increased strength can be thin yet sufficiently strong to be suitable for use in electronic devices, such as the iPhone and perhaps new devices such as the Apple Watch. 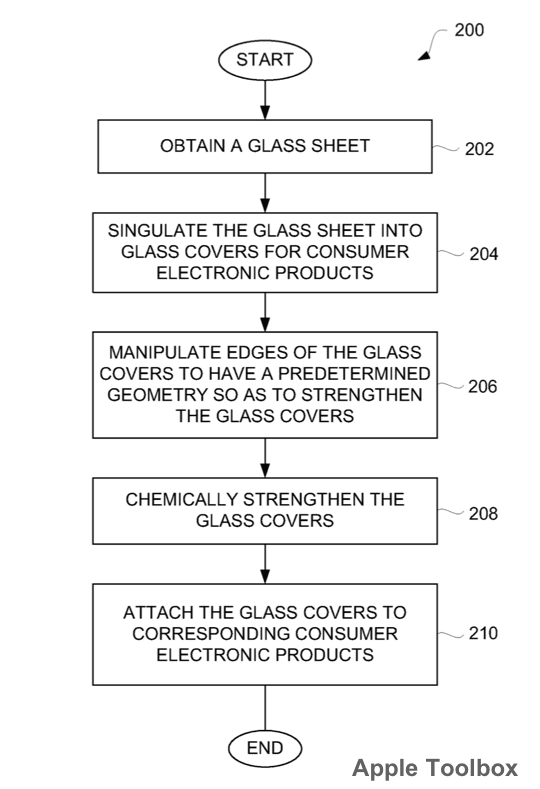 The patent describes examples where forming of the edges to correspond to a particular predetermined geometry and providing chemical strengthening can cause compression in the vicinity of the edges of the glass cover to be enhanced (while reducing stress at the vicinity of the edges). The glass cover can thereby be made stronger by imposing the particular predetermined geometry to the edges of the glass cover. Yet more examples describe how the edge geometry can yield a smoothed corner, where for example a corner between two surfaces that are substantially perpendicular can be rendered less sharp. 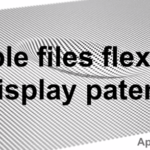 This may for example be accomplished by transitioning one surface to the other with a curve. For example, sharp edges, such as corners, can be desharpened or smoothed to create a more continuous transition from one surface to another. 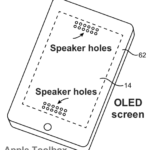 It’s not known how Apple intends to use the patent that it has been awarded, as they already make use of Gorilla Glass in the iPhone and iPad. 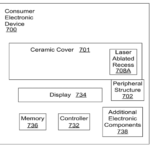 However, it may be the case that Apple intends to enhance its own screen expertise particularly in terms of potential sapphire screens in future products. 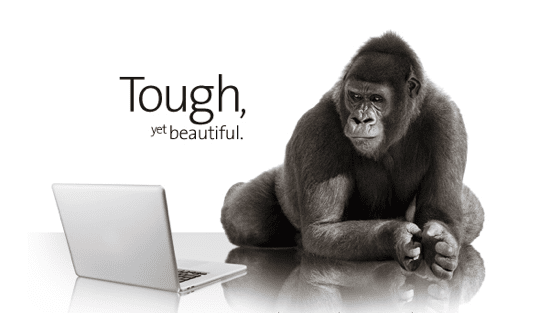 Apple already uses Gorilla Glass in many of its products, despite the patent it has been awarded. 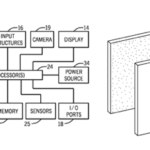 Apple credits Christopher Prest (San Francisco, CA) and Stephen Paul Zadesky (Portolla Valley, CA) as the inventors of U.S. patent application number 8,937,690, which was first filed in September 2010. 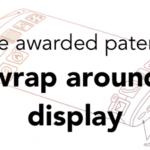 Apple has been awarded various screen-related patents recently, including for flexible electronic devices, a wrap around display, and even a transparent display.